This agency provides 24/7 crisis intervention, suicide prevention and intervention, referrals, support services and counseling services to persons experiencing mental health related and/or situational problems. It was known for over four decades as Help Hotline Crisis Center, Inc. But as its services had expanded well beyond the suicide prevention and intervention it was best-known for, Farris recommended a rebranding campaign that would include a new identity that would better reflect the full scope of services offered. 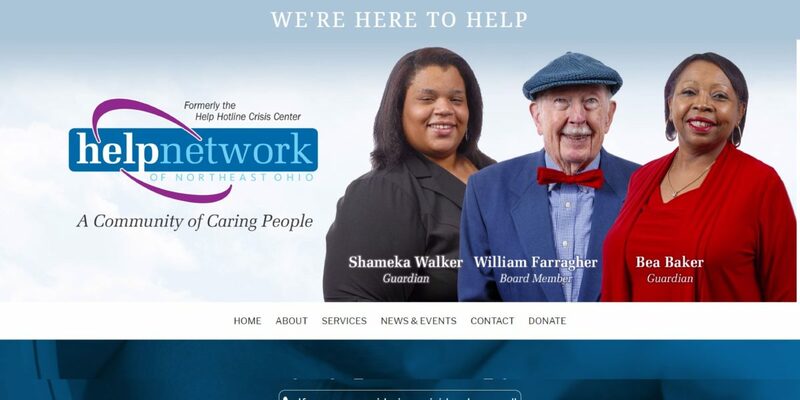 We developed the Help Network of Northeast Ohio name, and then created a new and expanded website that highlights each of these services and makes it easy to link individuals and families to the help they need. The campaign included PR for the rollout of the new name and Help Network’s annual fundraising event, plus new collateral materials and social media initiatives.